Rightsizing Your Life offers guidance around the pros and cons of rightsizing (downsizing) by thinking through both the concerns and upsides to moving to a different living situation, along with the practical considerations of such a move. You must have a valid AMP license number to purchase AMP Electives. You can find your AMP license number in the AMP Community Site. AMP Electives are printed to order, therefore, please allow up to 2 weeks for your order to ship. 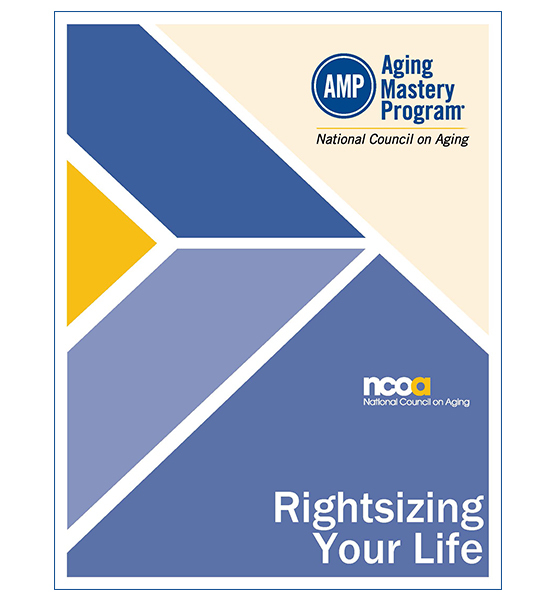 © 2019 National Council on Aging - Aging Mastery Program®, all rights reserved worldwide.